HONOLULU- Two civilian mariners were rescued at sea by a U.S. Navy ship after they'd been stranded in the Pacific Ocean for almost five months. 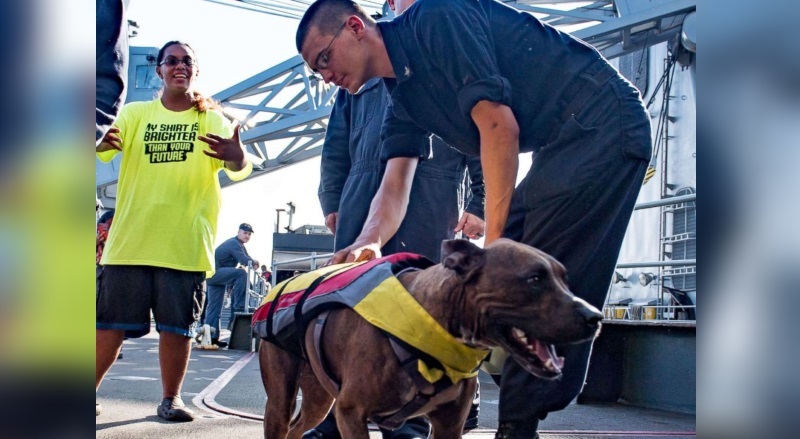 According to ABC News, Jennifer Appel and Tasha Fuiaba, both from Honolulu, and their two dogs were rescued on Wednesday by an amphibious transport dock ship: the USS Ashland (LSD 48). The two originally left Honolulu on their sailboat in the spring. They were bound for Tahiti, which was 2,600 miles away in the South Pacific. On May 30th, they encountered bad weather and their sailboat's engine completely stopped working. They continued sailing toward Tahiti, trying to make it to land. Two months into their voyage, they began issuing daily distress radio calls. No ships were close enough to receive the messages. On Tuesday, 900 miles southeast of Japan, a Taiwanese fishing vessel discovered the pair. They were nearly 5,000 miles from their planned destination. 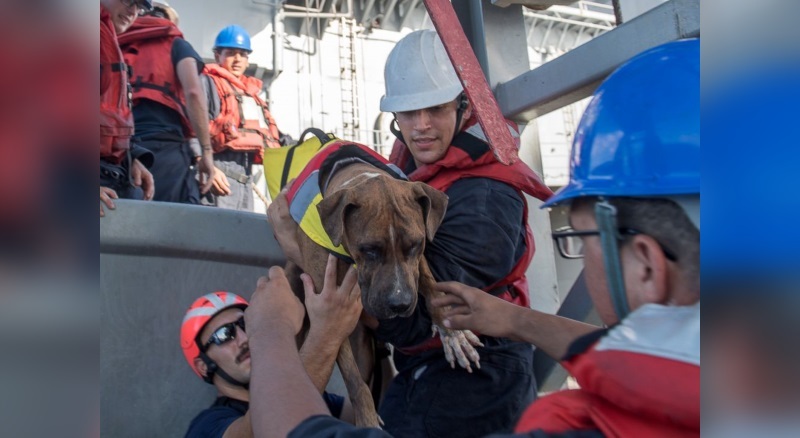 ABC News states that the vessel reached out to the U.S. Coast Guard in Guam for assistance, and it was determined that the Ashland was in the best position to pick up the stranded mariners. The Ashland reached the sailboat Tuesday morning, and after the craft was assessed as unseaworthy, Appel and Fuiaba were taken aboard. They were given medical checkups, food and berthing arrangements on the ship because they will remain on the Ashland until its next port of call. 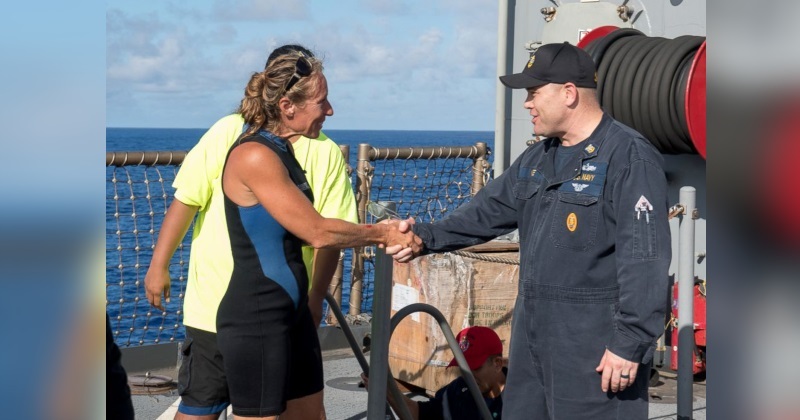 The two were able to survive for so long at sea because of water purifiers on their boat, and a year's supply of oatmeal, pasta, and rice on board. "I'm grateful for their service to our country. They saved our lives. The pride and smiles we had when we saw [the Navy] on the horizon was pure relief," said Appel.